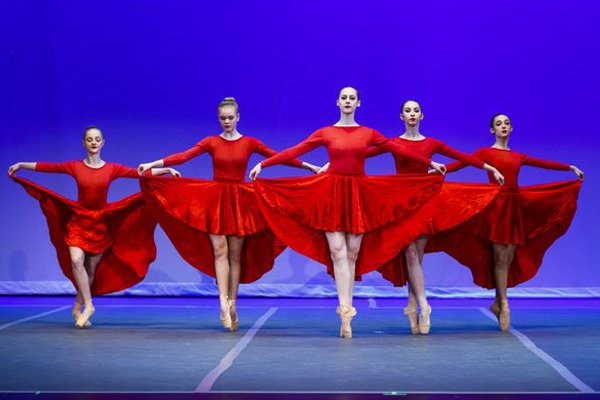 To go home a winner from the Youth America Grand Prix (YAGP), the world’s foremost student dance competition, you need talent, virtuosity and a certain je ne sais quoi. But in the wings of the Metro Toronto Convention Centre’s theatre on Saturday afternoon, the first contest was for space. Dozens of teenaged girls – wearing some combination of fake eyelashes, rhinestones, leotards and spandex – vied for little patches of the floor on which they could pull their limbs into joint-defying stretches or smooth out a glitch in a tricky turn. In the world of dance competitions, behind-the-scenes muscle-flexing comes in the form of a perfectly executed triple pirouette.